…it does more than just yank IMEI and IMSI. There’s another APK hidden inside the code, and it steals nearly everything it can: product ID, model, partner (provider? ), language, country, and userID. But that’s all child’s play; the true pièce de résistance is that it has the ability to download more code. In other words, there’s no way to know what the app does after it’s installed, and the possibilities are nearly endless. But that’s not all. Android security machine Lookout, stepped into the situation to help ease minds of their customers, but also found two additional developers that were distributing similarly affected apps: Kingmall2010 and we20090202. With these 3 “developers” combined, there were more than 50 apps in the official Android Market that could potentially steal a massive amount of information from your smartphone. DroidDream is packaged inside of seemingly legitimate applications posted to the Android Market in order to trick users into downloading it, a pattern we’ve seen in other instances of Android malware such as Geinimi and HongTouTou. 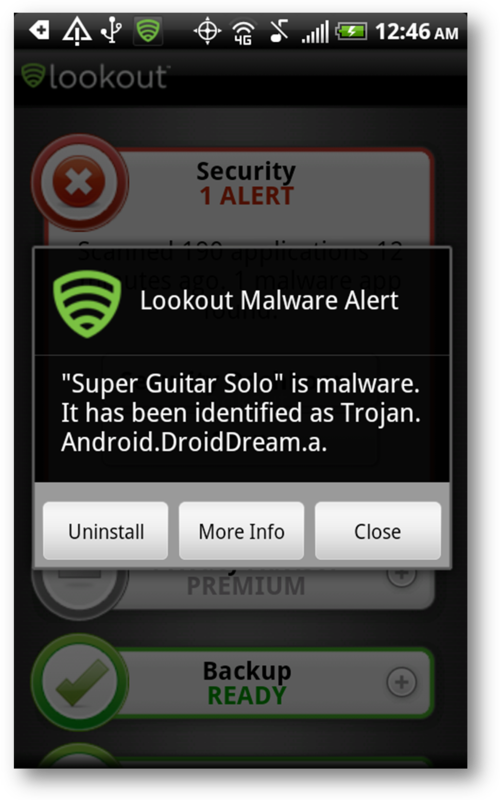 Unlike previous instances of malware in the wild that were only available in geographically targeted alternative app markets, DroidDream was available in the official Android Market, indicating a growing need for mainstream consumers to be aware of the apps they download and to actively protect their smartphones. 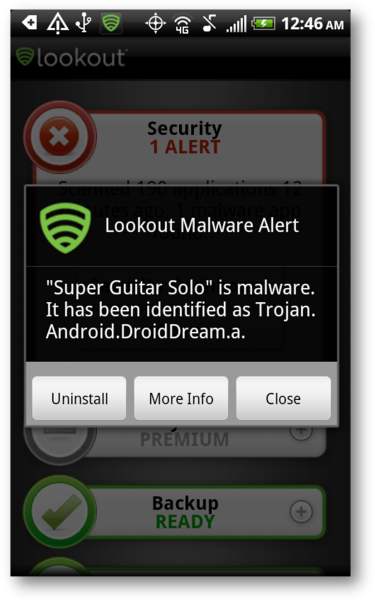 Lookout users are protected from all known instances of DroidDream. All I can say is, know what you are downloading to your phones, people. We’ve lived in a time filled with shady internet characters for a couple of decades now and you shouldn’t be blindly downloading apps from random developers. If you haven’t heard of the person listed under the app you are about to download, maybe you should take 30 seconds, read some of the comments, do a quick Google search, and see what you come up with.